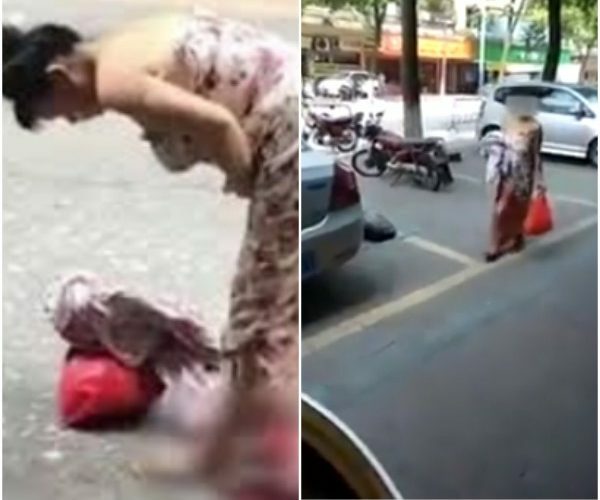 A Chinese woman shocked onlookers when she gave birth standing in the middle of a street, then picked up her child and walked off like it was the easiest thing in the world. The shocking moment was captured on video. The woman was out grocery shopping when she went into labour unexpectedly. She began screaming after her water broke and she gave birth right there with the help of some women. She did not bother to crouch in order to birth her child but stayed standing through the ordeal. 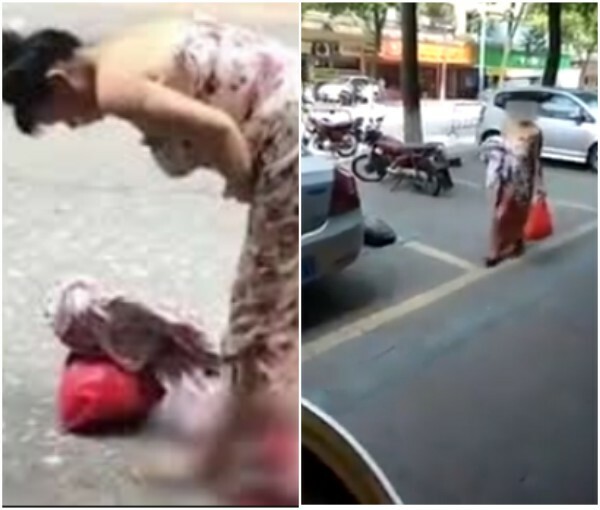 A few seconds later, the baby is seen in the video dropping from between the mother’s legs to the ground, leaving the woman’s long dress stained in blood as anxious voices are heard calling for help. 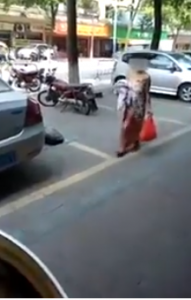 After she had been attended to on the scene by some nurses, the woman picked her child and her bag of groceries and walked off. The dramatic birth happened in the city of Yunfu in southern China.